I love tofu but I know it is not everyone’s favorite dish. 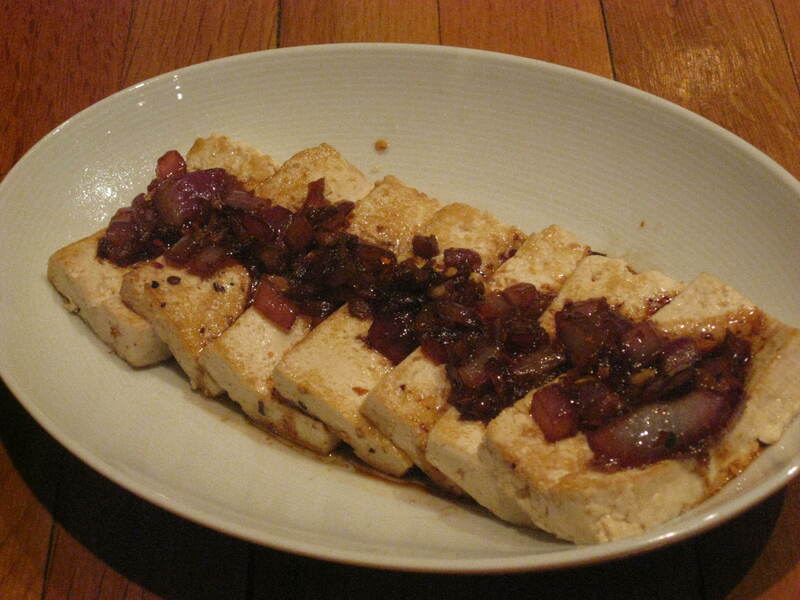 I think this perfectly crisped tofu will help change their minds and the sauce is the perfect finish. You could also add herbs and change the flavor and look completely. Serve as apps or with a side of veggies and you have a lovely meal. In a bowl, add the soy sauce and sesame oil. In a skillet over high heat, add 3 tablespoons grapeseed oil and stir-fry the onions, ginger, and pepper for about 1 minute. Add to the soy sauce and sesame oil bowl. In the same skillet over medium heat, add the remaining oil. 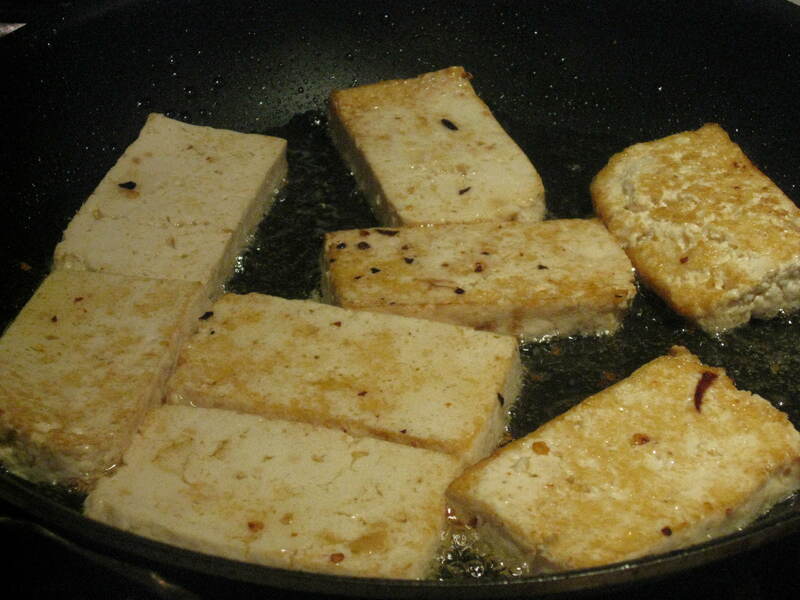 When hot, pan-fry the tofu slices until golden on all sides, about 3 minutes total. Drain and place on a serving platter. Top each slice with sauce. 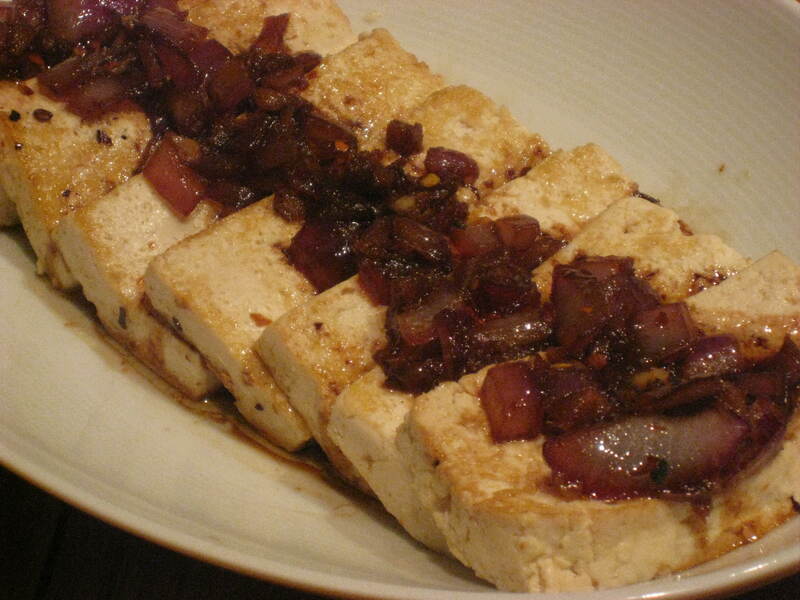 I’m not usually a tofu fan but that looks really good! I’ll try it out.